Judokickbox ( JKB ), is a new martial art and a combat sport. It was founded in Miami, Florida by Cuban-American martial artist Carlos Finales, and Co founded by Eric “El Tigre” Castaños ex- multiple World Champion in Kickboxing and Muay Thai. Head instructor of Anta’s Fitness and Self Defense Julio Anta is the City of Doral’s Judokickbox representative. Judokickbox is by definition the First Cuban Mixed Martial Art (MMA). The ‘JKB’, as it is also known, is a style that unifies two Martial Arts and one combat sports. 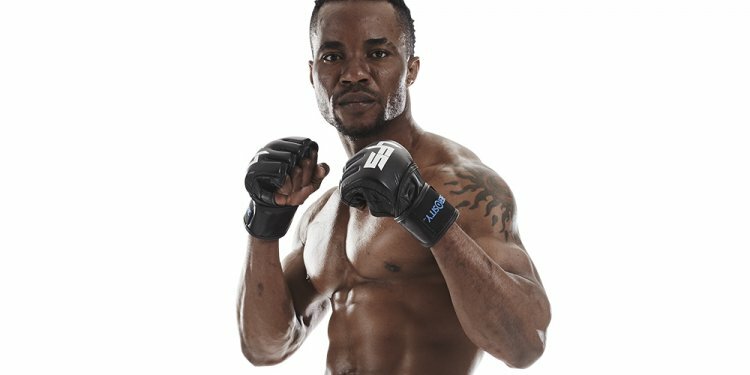 Taking techniques from Judo, Boxing and Kickboxing. JUDO (judo), KICK (kickboxing) and BOX (boxing). JKB is considered an MMA not only because is originated as a fusion of various martial arts and combat sport, but also because the ability of the participants to fairly compete in conventional MMA fights. There are numerous MMA fighters around the world fighting under the JKB banner. JKB is the fasted growing MMA system in the world with affiliates in 25 countries. On Friday, September 11, 2015 for the first time in mix martial arts history Cuban MMA fighters fought outside of the island of Cuba. They fought in a professional MMA card, in Panama, the ULTIMATE COMBAT CHALLENGE (UCC) 25 at the Hard Rock Hotel Panama Megapolis. Granted 2 time UFC Heavyweight Champion Frank Mir and and coming UFC fighter Yoel Romero are Cuban American’s. Yet, not until now has a Cuban from the island fought in MMA. Yet, the most interesting part is that Cuba has it’s own unique style of MMA known as Judokickbox (JKB). Every year Cuba holds it’s national Judokickbox champions. In 2015 UFC Champion Frank Mir accompanied Founders Finales and Castanos to Cuba for the championships. Even though there is no relationship or affiliation with the best way to describe Judokickbox MMA style is by watching UFC champion Ronda Rousey, pound for pound the best UFC Fighter. The only relationship between the two is that Ronda mixes Judo with kickboxing to devastate her opponents. Watching Ronda fight you can understand what Judokickbox calls the chain reaction. In the chain reaction you might attack with hands or feet to make a connection with your opponent, from there you can throw them or sweep them and go straight into an arm bar for a submission. Cuban Judokickbox National Champion Luis Raul Gomez victory in UCC 25 in Panama resembled a Rousey fight. Anta’s Fitness and Self Defense head instructor Julio Anta is a 2nd dan red and black belt (equivalent to a 2nd dan black belt) in Judokickbox and trains directly with JKB’s USA director Fraibel Hernandez.